As in many other countries in which the New Wine name is used, New Wine Cymru holds to the core values of New Wine, but is responsible for its own operations, financing and leadership. Julian is the Leader of New Wine Cymru and leads Cornerstone Church, Swansea with his wife Sarah. Cornerstone has developed many projects serving the local community and seeks to be a church accessible for guests, seeing regular physical healings especially amongst un-churched people. Julian is a member of the Pioneer Leadership team, Vice Chair of the Evangelical Alliance UK Council and represents EAUK on European Evangelical Alliance board. Bruce was born in South Africa, and trained as a Chemical Engineer. He was ordained in London Diocese in 1983, and was Team Rector of the Roxeth Team Ministry from 1990 to 2003. He served on the New Wine Leadership team from 1997 to 2011, overseeing the development of its English and international networks. 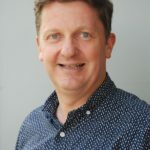 In 2007 he moved to South Wales and is now part of the management team in New Wine Cymru, working alongside Julian Richards in the development of its Welsh networks. Paul has had over 30 years ministry experience as youth worker and church leader – all in Glenwood Church, Cardiff! He is a director of a number of charities that are part of Glenwood Faith Community – a missional expression of local church. He is passionate about church, creativity and loves watching rugby, catching a film and reading. He is married to Jane. Sarah is a senior leader of Cornerstone Church, Swansea, part of the New Wine Cymru leadership team, a board member of Willow Creek UK & Ireland and serves on the Pioneer National Team. Sarah has a passion to see church connecting with its members and its community, and has been involved in leadership for 30 years. Paul Dando leads Grace Church, Narberth, who serve west Wales and beyond these shores. He has been in full time Ministry in Lincoln, Newport and a founding team member overseeing a new church network for 30 years. He is also involved in overseas ministry focusing on Poland and India. He is the Leader of the New Wine Cymru South West region. 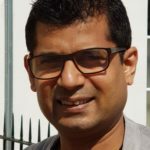 Chris & Lyra Vaz moved to the UK from India in 2006 and since 2012 Chris has overseen the ministry at Gateway Church Abergavenny. In that time the church has grown from 80 to 250, and continues to grow and has a strong influence in the community. Chris is a gifted Bible teacher with a heart to raise leaders who will pioneer movements of God all across the nations. Chris & Lyra have two daughters, Eliza and Daniella. Jez has been in full time ministry for fifteen years, spending the first few years of that time with his family as missionaries in Africa. He returned from Uganda in 2012 to take on the role of Operations Manager at New Wine Cymru and is passionate about helping churches impact the nation of Wales. He is married to Helen and has three children.